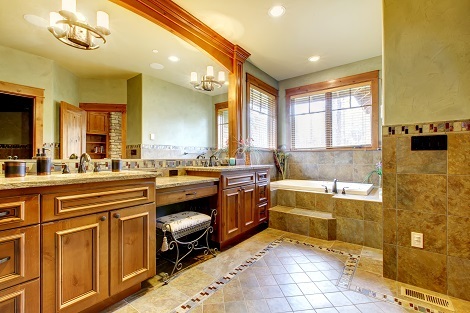 Bathroom remodeling is one home improvement that can return most or all of your investment at future resale, while you enjoy the pleasure of a luxurious retreat now. Consider soaking by candlelight in a deep, sunken tub, sipping a glass of champagne with a deep muscle massage with high power water jets pulsating on your tired muscles. Or maybe you’d like to relax in your spa like bathroom, in the tub listening to a waterfalls and soft music. Sound heavenly? It can be yours. And we can do it for you. 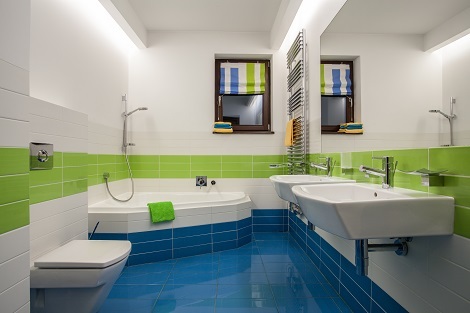 Is Bathroom Remodeling in your future? Maybe you want a bathroom that is practical and highly organized; a place for everything and everything in its place. By building some fixtures into the wall or utilizing previously unused corners and adding lots of cabinetry, your bathroom will be tidy and functional. Bathroom remodeling doesn’t have to be out of your reach. 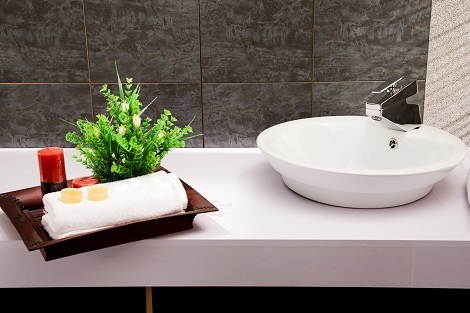 For a rich business office bathroom or a guest bath, consider a warm chocolate colored marble or gray tile and a ceramic or pottery bowl vessel sink and soft track lighting. These spaces are both classic and timeless with luxurious finishes. For the kids’ bathroom why not consider making bath time more fun with a wall painted with chalkboard paint so they can write on the walls to their hearts’ content or a bathroom decorated in primary colors, or fun shapes with glossy finishes. There’s no end to the bathroom remodeling ideas that you can imagine and there’s no end the ability of our designers and craftspeople’s to help you create it. We proudly service the Lehigh Valley, Bucks County, Northampton County, Allentown, Bethlehem, Easton and beyond. Contact us today.